Our hotel lounge is the ideal location to relax and enjoy creative cocktails, classic drinks, wines, and, local beers. This is where business turns to pleasure in the evening and the game is always on. Stefano’s – Merlot and metallic blue color set the mood for this upscale dining experience. Specializing in old World Italian and American cuisine with recipes that have been handed down for generations. Kegler’s – Enjoy a delicious meal with some of the finest and happiest staff in the city as you watch your favorite sports team play! 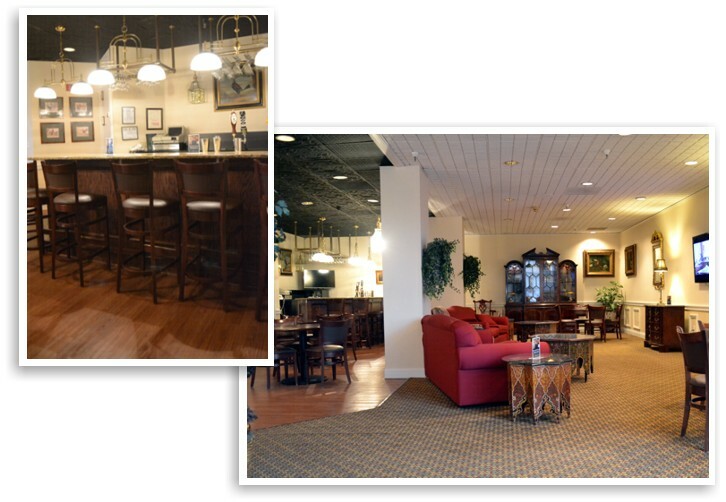 They offer a fully stocked bar and menu full of appetizers, sandwiches, dinners & desserts.